“At Concentration Camp – The Chaplain supports and comforts the courageous” (author’s collection). 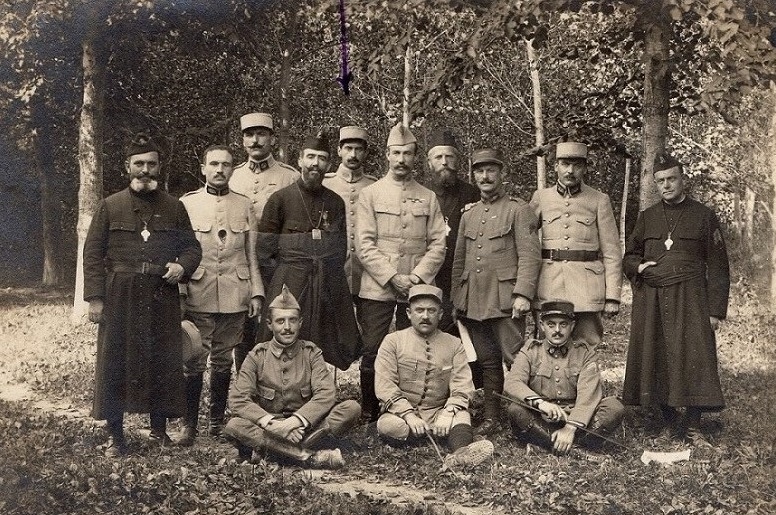 French Chaplains at Camp Mainz. 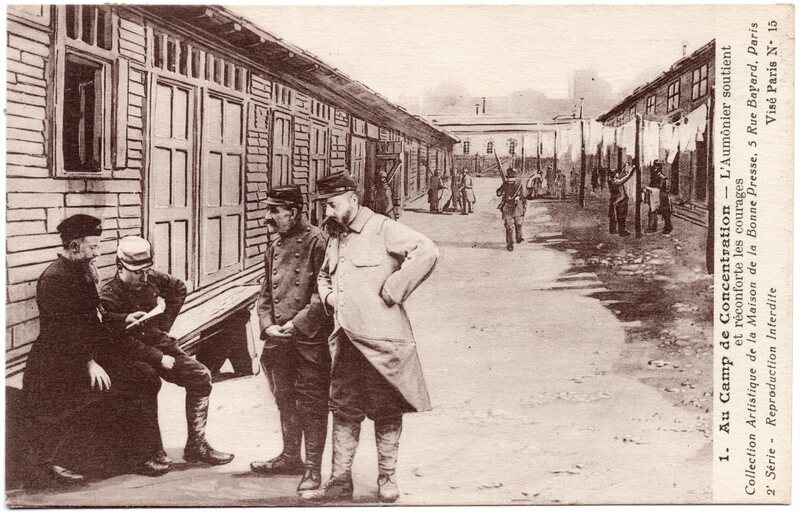 Mainz is a town in which there was one of 390 prisoners of war camps and it was reserved for French officers or allies. 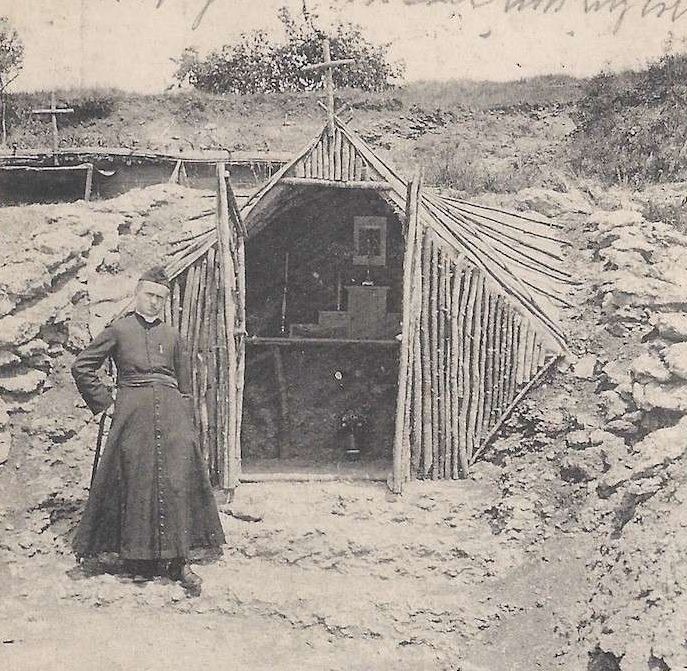 One such officer-prisoner wrote in French Haute-Loire and said that all is well: Fidelity Remembrance at all, we can assume that the use of the faithful word designates the chaplain. 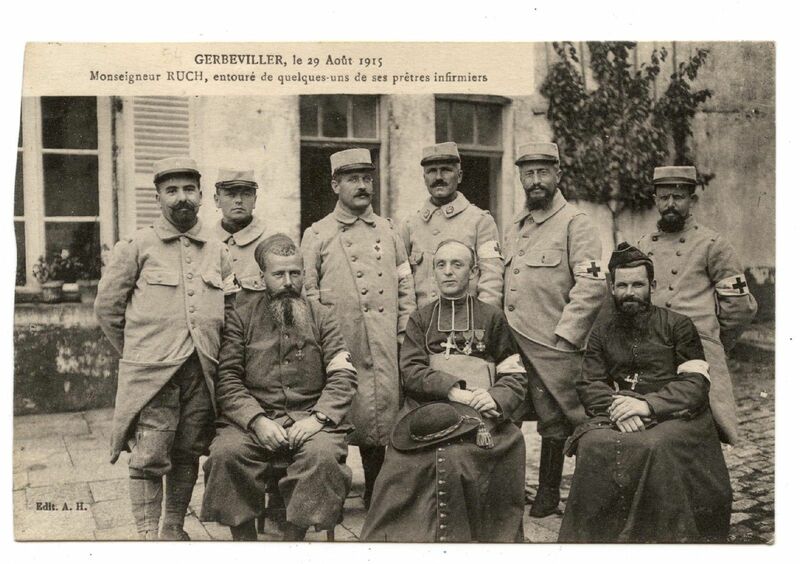 “The Soldier-Priest of France. 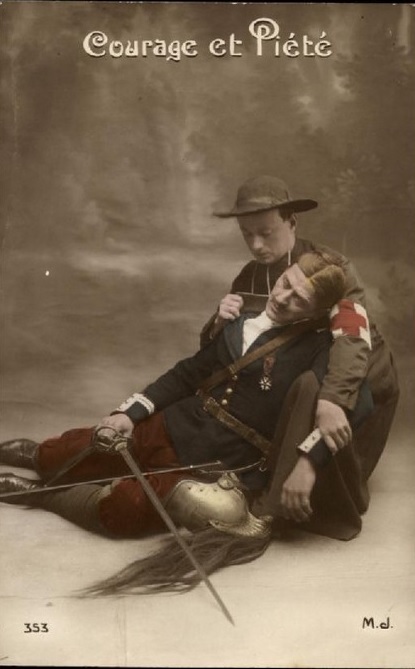 A French military chaplain carrying a wounded poilu out of action. 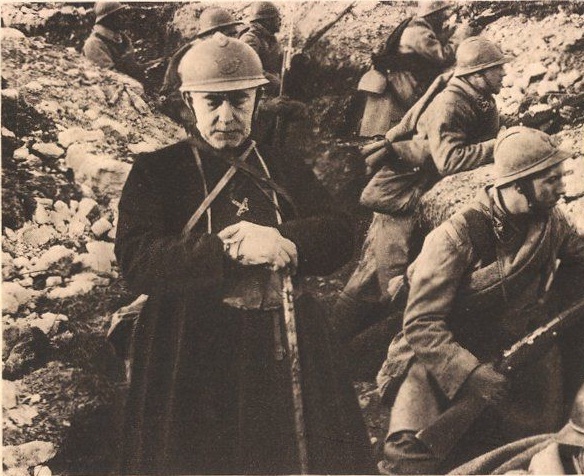 When the history of the Great War comes to be written, one of the finest chapters will be devoted to the heroism of France’s soldier-priests, who, whether serving in the ranks as privates, or acting as aumoniers–military chaplains to the troops–have shed fresh lustre on the glory of France. Twenty thousand French priests are tending the wounded, says Abbe Gaell, and they are ever ready to bring comfort to the dying, and, if possible, to carry them to a place of safety, often sacrificing their own lives to save others, whether friend or foe.” (Drawn by Paul Thiriat, special artist at the front for “The Graphic,” No. 2438, Vol. XCIV, 1918). 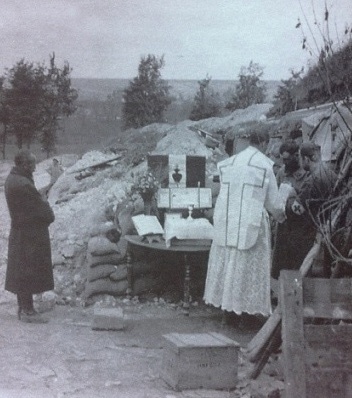 Mass celebrated at the front by a division chaplain. 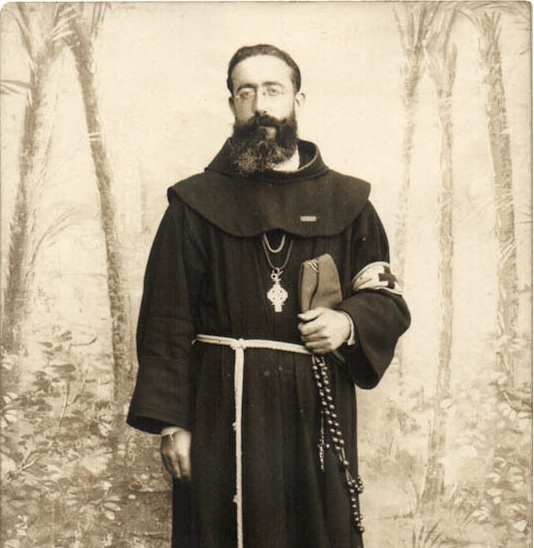 French chaplain, Monsignor Ruch. 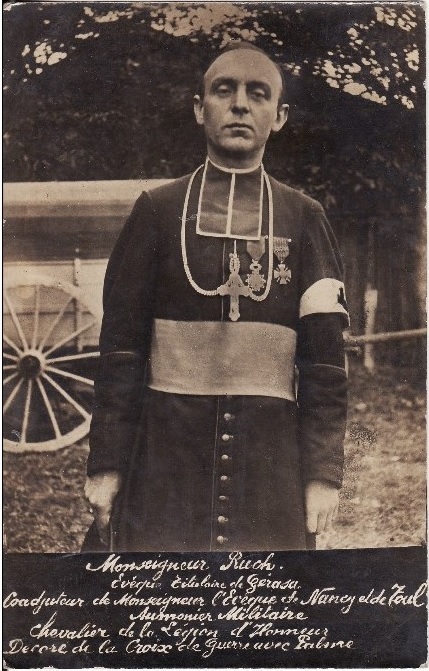 More than a priest and chaplain, Monseigneur Ruch was bishop and was commissioned in 1917, together with Mgr Llobet, to hold the function of “ecclesiastical inspector armies” that is to say to control and coordinate the activity of 500 (approximately) holders chaplains and volunteers in service. It was an important step, because the state was excluded from the 1880 Act any existence of “chief chaplain” in the military, fearing the development of a clergy too independent for his taste in the ranks. I believe Mgr Ruch was Alsatian and was bishop of Strasbourg. It may be noted, on a strictly uniformologic plane, the cross he wears in this picture is absolutely not the regulatory model. But after all, this regulatory model (mle 1854) was not adopted by all, far from it: the famous father Umbricht also wore a missionary cross. A number of service by priests as chaplains or volunteers holders challenged this cross chaplain deemed too “military badge” to their liking. 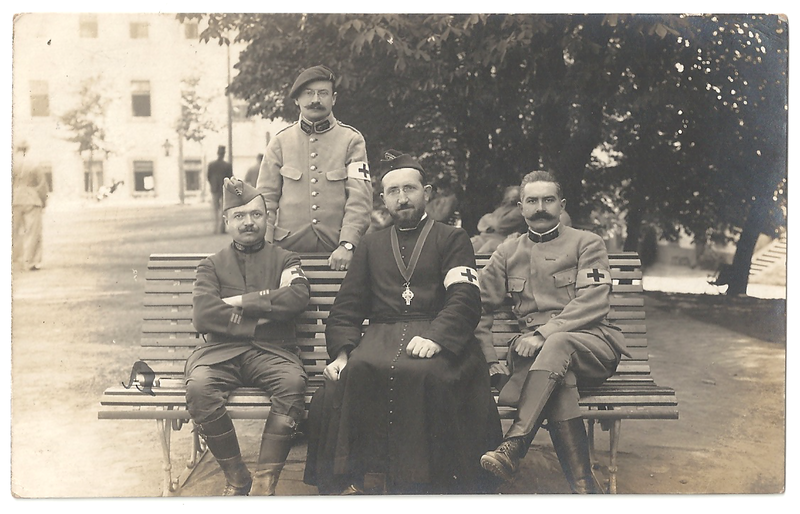 On the right, the Chaplain has five chevrons on his left sleeve, indicating that he has already spent three years in the military zone. 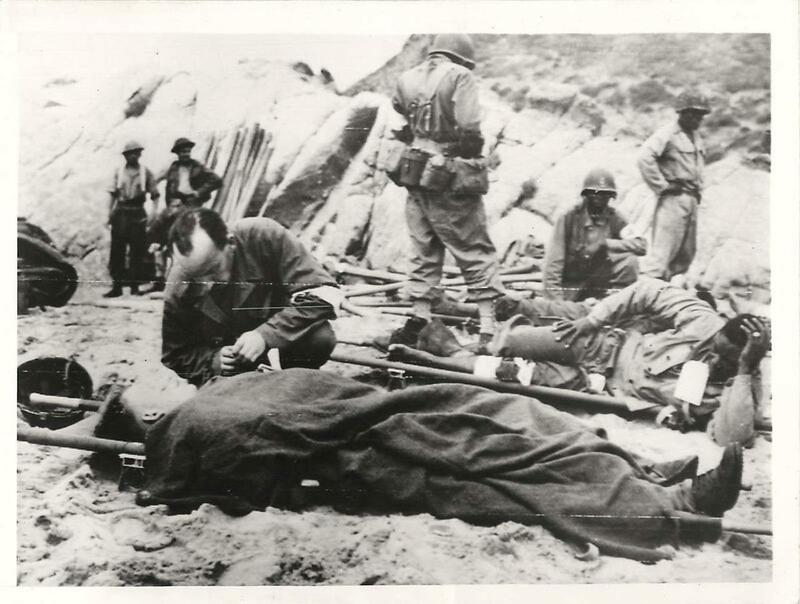 The second chaplain in from the left, seems to wear around the neck, the tablets of the Ten Commandments. 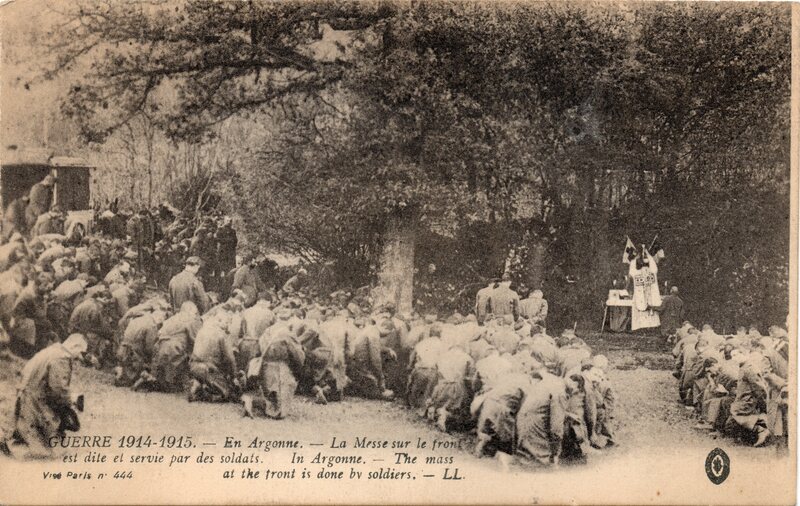 “In Argonne, The mass at the front is done by soldiers” (author’s collection). “Aumniers militaires de la place de strasbourg juin 2013. 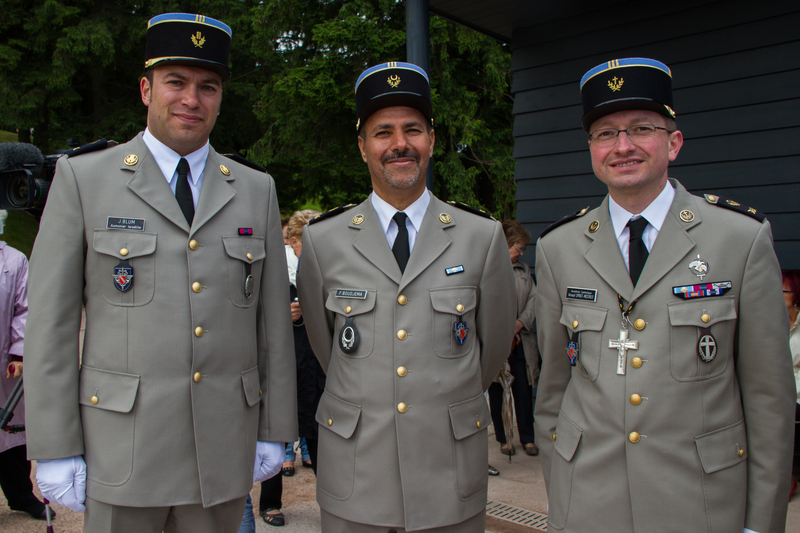 French military chaplains, Jewish, Muslim and Catholic, Place de Strasbourg 2013.” (Photo by Claude Truong-Ngoc).